Good article and project. Agree with all the reasons listed – there are many causes of homelessness. In most people who are homeless, the causes are layered. I have been director of a homeless shelter for 4.5 years and have contemplated this question. I have heard from various volunteers and others the phrase “but for the grace of God go I” and have thought about that. Anyone, especially in the current economy, could become homeless and many are for the first time in their lives. We see this at the shelter. I’ve seen with many a lack of a safety net. No family or friends to go to for support for various reasons (and usually that has already been exhausted). But you asked for the root cause – perhaps identifying the one or top root cause of homelessness. A couple of ideas to throw into the mix – the one thing everyone has in common who is experiencing homelessness is they lack a house (to state the obvious). There is a great great lack in affordable housing and many barriers for many of our people to access housing (credit, criminal records, rental history, and of course an adequate income).Currently the wait for government subsidized housing in our community is 5 years (recently increased from 3 years to 5)! And most of our people qualify for this. Housing is framed within our society’s values as well – our priorities have been misaligned for a long long time. I’ve also thought about people who are chronically homeless as compared to people who are economically homeless. In the former group, I have seen loss of hope, a lack of belonging within the community or larger society, low self-esteem/self-worth….as major factors that keep people stuck. There seems to come a time of surrender and giving up. Will be interested to hear other input on this topic. It’s something I think about everyday. Interesting, this is a question I’m asked a lot when I do talks, or at strategic planning meetings. Have you ever asked people who are homeless for their views on the subject? It’d be interesting to know if they think the same as the volunteers, is the particpant’s perspective different to the onlooker’s? I think there are also a couple of hidden factors going on here. One is foetal alcohol syndrome – the damage sustained in the brain (judgement, anger, susceptibility to addiction) by the unborn baby of an alcohol-dependent mother. Another is the handicap of family background – if the family only model unhelpful and self-destructive patterns of behaviour, and responses to stressors, then it is hard for the individual to break out of the pattern and do differently. Anyway, thank you for your thought-provoking research. 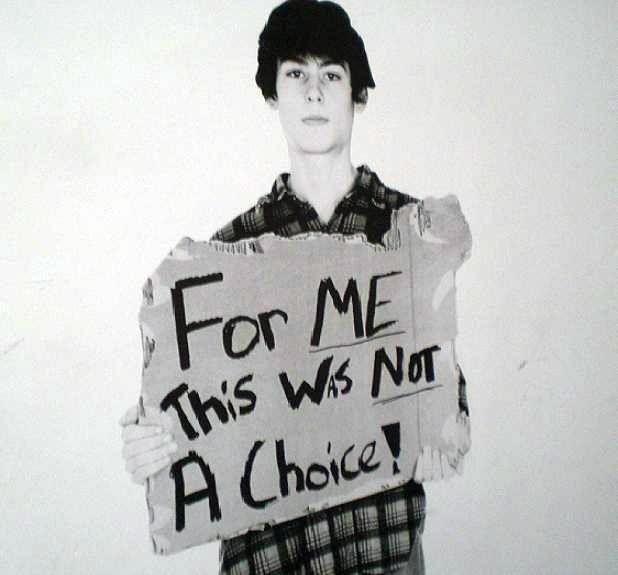 A disproportionate number of homeless youth (some soft numbers are 25-30%) are LGBT, who have been kicked out or run away from home because of their sexual orientation. This is an important detail to include in “family dysfunction”. Thanks NotAwesome, I think you are right. I see this among our young homeless friends out on the street. I’d like to get a better handle on the the “soft numbers” of 25 to 30%. Do you know of any sources or websites that have more information? What’s the root cause of being adequately housed? Thanks April for your comment. And it is an astute view of the issue. I’ve often heard it said in logic, argument and debate that you can’t posit a negative. For example, if we were debating the merits of something mundane like “How do you find the pot-of-gold at the end of a rainbow?” You could respond with “There is no pot-of-gold”. That’s positing a negative. Your thesis negates the subject of investigation. It would be more useful to say – “rainbows are an optical illusion”, then expand on what that means to people who are searching for the answer. I feel similarly when we say the root cause of homelessness is the lack of affordable housing, that we are focusing on the negative – the LACK of housing. However, if we use your approach, we are forced to focus on the positive – what is it about our society that causes most people to be adequately housed? Things like: income, employment, job skills, experience, education, infrastructure, savings, budgetting, planning, family support systems, health, wellness, and that’s just a quick start. Many people will say (of their successful/comfortable position in life) – ” I did it on my own”. when, in fact, there is a whole range of factors which have been assisting them reach their goal of “self” sufficiency. What obstacles do the homeless face? Is our approach to housing reactive, rather than a positive plan to ensure equal access to a range of housing choices? ” I’ve been thinking a lot about this, but I didn’t come up with the great “lightbulb” answer I was hoping for. “During our debriefs, they say that the root cause of homelessness is the lack of affordable housing, which totally makes sense. “And I initially agreed with this, but upon further investigation, I think that providing affordable housing is only part of the solution. For example, even though you provide a homeless, substance addicted person with affordable housing – chances are that he/she may unintentionally spend rental funds on drugs or booze. As well, if they are mentally ill and depressed, a person’s way of thinking is so distorted that in some cases he/she may think that they’re better off on the street than under a roof. I think you have to solve the drug/mental health problem at the same time that you solve the affordable housing issue. On our Project417 sandwich runs, I’ve met some homeless people who were given housing, but they couldn’t get used to sleeping indoors and they ended up sleeping on the streets anyway. These people were either drunk or high. “So although I still agree that lack of affordable housing is a major cause of homelessness, that is only part of the answer. In essence, the answer is a trinity: a) lack of affordable housing, b) lack of adequate mental health services, and c) lack of affordable and much needed substance abuse services. And you can’t have one or two without the other. “I searched online and found that Sweden has the lowest number of homeless people in the world. Not sure if this is entirely accurate, but it’s interesting to note that Sweden is a socialist country. Thanks for the link NotAwesome! Some thoughtful research. I was homeless for 10 years, and have finally worked by way out of it. The root cause of homelessness is that you don’t believe you have a home. What you fear you bring toward you. Anyone can become homeless. It is the ultimate conclusion of your belief structures. It works like anorexia. The homeless person cannot tolerate too much and pushes it away. You have to reach the point of “nothingness” and then slowly instate more and more until you have too much, and then pull back to the point of “just right” and being in a state of balance. Psychological abuse is another factor that contributes to homelessness in conjunction with not enough education. Thereafter it can perpetuate into adulthood. One thing leads to another, it can become a vicious cycle. I know I’ve been there.